Wicker furniture is traditionally used outdoors, thus it requires extra cleaning and care. Cleaning wicker is easier than you think. The first step in this process to determine whether your furniture is made of natural material or resin as they require different cleaning approach. The manufacturer will be happy to tell you about the type of material used in wicker. As a rule of thumb, natural wicker furniture is more expensive and requires frequent care. 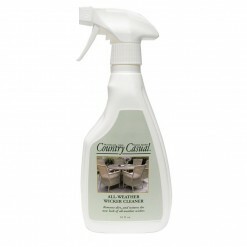 Please use a soft brush or a microfiber cloth for cleaning the surface and removing dirt. You can also use a vacuum cleaner to achieve similar results. Prepare a general purpose cleaning solution using warm water, liquid soap and vinegar/ammonia. Remove all cushions, seat back or other fabric attached to furniture and wash them separately. Follow the instruction provided by the manufacturer as different fabrics may require different clearing and treatment. Manufacturer by law are required to attach fabric care instruction label so look for them to understand the cleaning process. 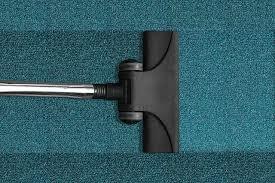 Clean the surface with a brush to remove excess dirt or use a vacuum cleaner. You can also use a microfiber duster in place of a brush. Mix liquid cleaning soap in half-filled bucket of warm water. Add one or two spoons of Ammonia. Use this solution to gently wash your wicker furniture. Use a soft toothbrush to clean hard to reach areas. Remove excess suds using a garden hose. Let it dry outdoors for a day. Apply linseed oil that can be purchased in any art supply store. Linseed oil will help in restoring natural fibres of the wicker and prevent formation of mold and mildew. Remove excess oil and let it dry for a couple of days.